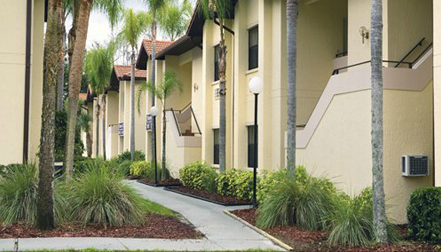 7 Nights in a Hotel, 1 or 2 Bedroom Suite at Alhambra at Poinciana in Orlando, Florida Near Disney! Alhambra at Poinciana in Kissimmee, Florida Near Disney! - Buy a 7 Night Stay in a Hotel, 1 or 2 Bedroom Suite! Enjoy 7 Nights in a Hotel, 1 or 2 Bedroom Suite at Alhambra at Poinciana in Orlando, Florida Near Disney! Alhambra at Poinciana is a magical place where nature and urban architecture live in harmony. 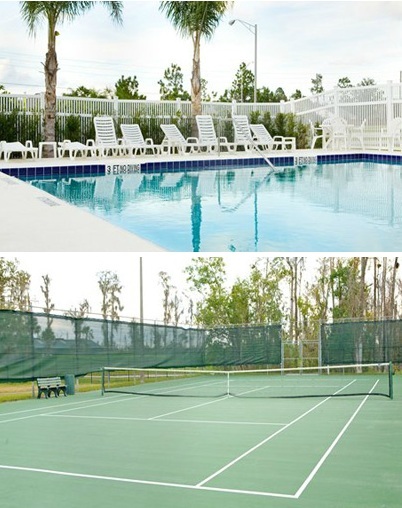 Highlights include a heated swimming pool, a lighted tennis court, a children’s playground, and a baby pool. And to top it off, Walt Disney World, Universal Studios, and SeaWorld are within a short drive of the Alhambra at Poinciana. Poinciana is tucked away in central Florida, just a few miles southwest from Kissimmee. Memories are easily made and long remembered at Alhambra at Poinciana, a family-friendly resort in Orlando–America’s theme park capital which is 30 to 45 minutes away by car. If you’re with kids, the Green Meadows Petting Farm is a must do--you can even milk a cow. Other area attractions include the Cannery Museums, Jonathan Kioko’s Gallery, the Pioneer Museum, and Osceola Center for the Arts. The units at Alhambra are like a home away from home. All rooms are fully equipped with air conditioning, microwave, and telephone. 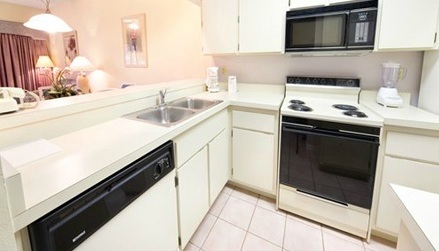 Some units have a kitchen, dishwasher, and a washer and dryer. Enjoy racquetball and golf nearby. Also, about 6 miles from the hotel are beaches, boat rentals, fishing, horseback riding, and a nice size shopping center. Your Hotel unit will accommodate up to 2 people. Your 1 BEDROOM SUITE will accommodate up to 4 people and has a full kitchen. UPGRADE TO A 2 BEDROOM SUITE FOR ONLY $150 FOR THE ENTIRE WEEK! Your 2 BEDROOM SUITE will accommodate up to 8 people and has a full kitchen.